Proposals to demolish a pub in Bognor Regis and replace it with up to ten flats have been approved - but there appears to be no immediate closure planned. An outline planning application for the Richmond Arms in London Road was approved by Arun District Council’s development control committee on Wednesday (January 16). The details of the scale and design of the new building would be subject to a separate reserved matters application to the council. Before the meeting a post on The Richmond Arms’ Facebook page described how a new three-year contract had just been signed, thanking ‘new and old customers for all of your continued support and custom’. Steve Goodheart, a Bognor Regis town councillor, described it a ‘shame’ the town was losing another 19th-century building and questioned if ten flats were too many for the site. As some of the new buildings being built in Bognor are ‘not necessarily aesthetically pleasing’ he asked for the council to have some say over the style of the building so it fits in with the character of the area. He suggested if approved the new development would have an impact on parking in the area and wondered if Richmond Road North could be made a one-way street. 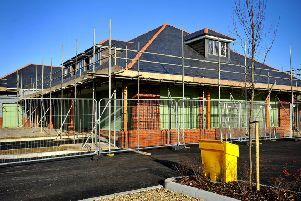 Officers described how only up to ten units were being approved on the site and a final scheme may be for fewer. He also described how the final design had to be something ‘very much in character’ with the surrounding area. This was accepted as an amendment with councillors agreeing to ask for any reserved matters application for the site to be returned to the committee for a final decision. The outline application was then approved unanimously.